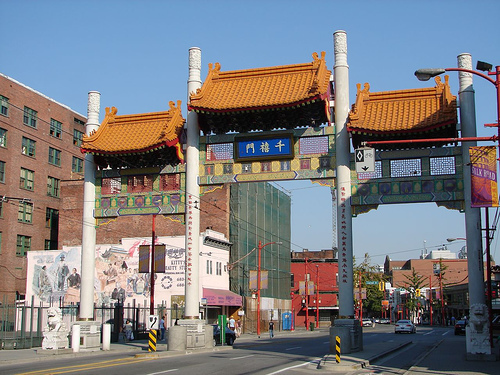 Vancouver's Chinatown designated as historical site, but what does this mean for developers? Vancouver’s Chinatown designated as historical site, but what does this mean for developers? So a couple of weeks back the federal government designated Vancouver’s Chinatown as a National Historical Site. It was a momentous occasion for the neighbourhood, which is officially the largest Chinatown in the country. The designation covers Pender Street from Gore Avenue to Taylor Street and includes 24 heritage buildings. It also reinforces recently legislated city restrictions that any new development be capped at seven storeys while the five block area south of the designation is capped at nine storeys. We were interested in how this designation and height restriction would effect developments in the area and who better to talk to than a developer who has a new project coming soon to the neighbourhood. We spoke with Brian Roche, the President of Panther Constructors in Vancouver. Panther is currently in the preconstruction phase of their Chinatown development, The Flats – 219 Georgia East. Fortunately for us, Brian was able to shed some light on the importance of the designation of Chinatown as a National Historical Site and what it would mean for development in the area. BuzzBuzzHome: Why is the designation of Chinatown as a national historical site so important to the community? Brian Roche: We live here, we work here, we do business here. This is one of the original settlements in Vancouver and preserving the heritage of the neighbourhood is critical to the city. BBH: Can you tell us about Panther’s project, The Flats – 219 George East, in the neighbourhood and how it will fit in? BR: It’s a nine storey, 28 unit project with ground floor commercial space. We’ve designed the building to weave into the existing fabric of the neighbourhood. They’re looking to maintain the heritage character of the neighbourhood so that means small lot development — 25, 50 and 75 foot lots. We’ve taken a skinny 25 by 122 lot and we’re developing a nine storey building on it which is keeping with the character of Chinatown as it evolved originally. Chinatown evolved with these small lots and sawtooth design along the streetscapes. What we’ve done is designed a building that is sleek and new in look, but maintains the character of the neighbourhood. We’ve drawn on the sawtooth and we’re using some visible colours that you find in Chinatown. We’re trying to mix in with the fabric. BBH: Some people would argue that the new height restrictions that go along with the designation of an area as a historical site would hamper development. What are you thoughts on this? BR: From our point of view, it hasn’t hampered us. I can’t speak for the other developers, but I can say is that I know there’s other lots that have been bought up in the last couple of months by prominent developers in the area within a block of this site. The area is definitely being looked at by other developers. Thanks to Brian Roche for providing some great insight into this big event!